I love reading books. Naturally, if there is one habit that I would like to pass on to my son, it has to be love of reading. So, I exposed my son to books quite early. To a newborn you can read just about anything. They just need to be exposed to the sound of words. So, I would usually read my own books aloud in the initial months. Gradually, I introduced cloth books and board books. Initially, books are also playthings for little ones, so be prepared to see the books getting abused [loved, in their way]. Now at 28 months, I cannot say my son is a reader yet but we enjoy reading books before his afternoon naptime and going to bed at night. Since now it is part of his bedtime routine, he himself gets the books he wants to read. He would usually have a pick of few favourites at one time, and it is interesting to listen to his observations while reading those books. This beautiful picture book follows a bunch of kids [8 of them] who are starting school – their first day, their second day, the first week and how they get used to the school. The kids are shown doing all sorts of exciting activities like playing with blocks, puzzles, colours, play dough or learning new things like reading, writing, saying prayers, etc; thus creating a fun and positive image of school. This book does not dwell into negative feelings like missing home or first day anxieties, and focuses more on making school a fun experience. A few things may not be relevant in our context like involvement of kids’ parents in different kinds of activities but those things can be ignored. It was really difficult to get this book since it was out-of-stock on most websites. I finally found it here. Read more about this book in this review. I am always on the lookout for Indian literature for kids. I found this collection of Indian Rhymes by Karadi Tales, and I knew I had to get it. I got Book 1 more than a year ago and it is still a favourite. I am getting the second Part soon. Book 1 has an interesting line up of rhymes very relevant for Indian kids. The most favourite rhyme from this book is called “Just like you’. It tells you about different people from different places in India, speaking different languages, and yet they are like us. Check out its video here. It is quite a catchy song. There are songs [or rhymes] about mangoes, crows, festivals celebrated in India, cricket, sari, flowers, Indian flag, etc. Essentially, the book attempts to capture the essence of India. My son makes me read all the rhymes in this book over and over again. This book also comes with an audio CD which contains rhymes in the voice of Usha Uthup. I am convinced that playing with kitchen utensils and dough should be part of developmental milestones. I am certain every kid goes through that phase. 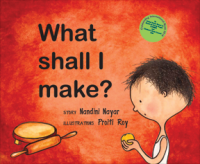 Since my 2 year old loves playing with the regular dough on daily basis, when I chanced upon this book, I thought this was apt for reading to him. To add to the fun, we sometimes also keep some dough handy to make the things that the little boy, Neeraj, in the book makes. This book is about Neeraj. He gets a little dough from his mother, and his imagination lets loose. He turns it into a snake, a mouse and a cat. This book is about how a child’s mind is full of imagination and creativity. The illustrations are extremely endearing. 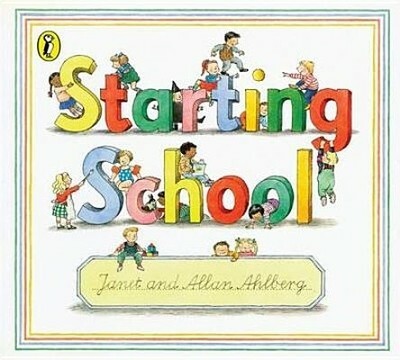 This book was a hit with our toddler from the first day. It is a lift-the-flap book. 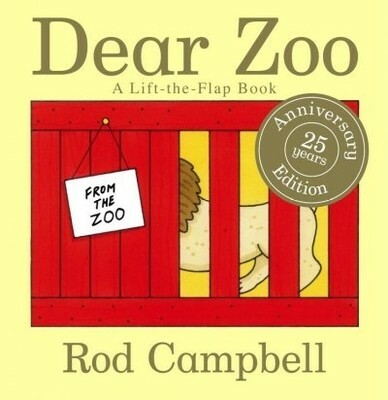 The text is minimum and prompts the child to lift the flap on each page, which reveals an animal inside. It is exciting for the child to lift the flap one-by-one and discover the animal. Learn more about the book from author’s website. You may also want to read about 5 Fiction Titles for Toddlers. ← Do You Want A Girl Or A Boy?